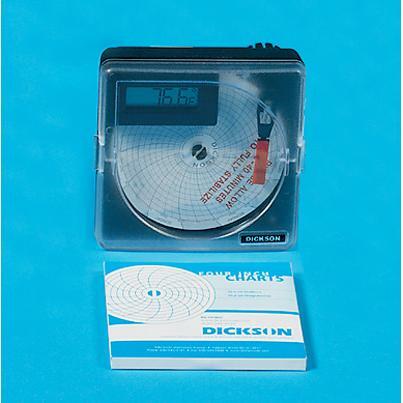 Kit includes one AA Battery, one recording pen, and a box of sixty 4-inch (122mm) recording charts. Case includes keyhole slots on the back for wall mounting. A certificate of initial calibration accuracy is included with each recorder. For other calibration certificates contact our Customer Service Department. NIST Certificates must be requested at time of initial ordering. Recalibration is the customer’s responsibility.